Source: Takamatsu Airport Co., Ltd.
Shikoku Island, Japan, Oct 25, 2018 - (ACN Newswire) - Takamatsu Airport Co., Ltd., today announces the launch of a 'Discover Shikoku' Campaign, aimed at attracting international visitors. The first focus of the Campaign centers on a special bus service from Takamatsu Airport to the Iya Valley called 'Koto Bus Iya Valley', operated by Kotohira Bus Co., Ltd. 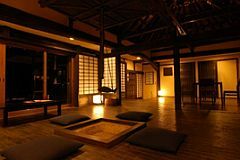 This service allows international tourists easy access to visit some of Shikoku's unexplored tourist areas. Shodoshima Island offers a variety of experiences, which include cycling around the island on rental cycles where you pass olive groves swaying in the wind at the Olive Park or taking in the sights at superb vantage points like "Tatoubi" (beautiful view of many small islands) - many say it's like looking at jewels of the world, hiking through mountain paths that bathe visitors in color throughout the four seasons, or at a sacred place, experiencing the burning of small pieces of wood on a Buddhist altar to invoke divine help. 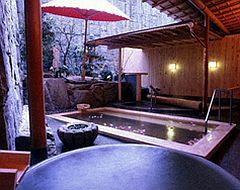 The Island is also known for its culinary offering: after visiting a traditional soy sauce warehouse where the barrels are made of wood, visitors can enjoy fresh seafood, and other traditional ingredients as well as somen noodles (very thin noodles) made using a special recipe that is handed down from generation to generation. 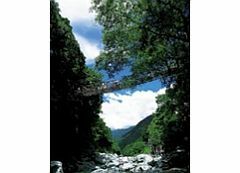 - Two-hour trip from Takamatsu airport by Koto Bus to the Iya Valley. Tourists make their own accommodation arrangements - this is a bus service, not a tour. Located in Takamatsu City, Kagawa Prefecture, on Shikoku Island, Takamatsu Airport, the operations of which were taken over by Takamatsu Airport Corporation Ltd., a consortium led by Mitsubishi Estate, in April 2018. Tetsuya Watanabe is president of Takamatsu Airport Corporation Ltd. The airport serves both domestic and international flights. International destinations include Korea, China and Hong Kong.